Blockkonnect is the worlds first blockchain technology and social network platform connecting crypto related people and uniting them under one roof. Blockkonnect is the first ultimate solution ever which provides you with tonns of features you ever wanted on a single platform. You'll find people with similar interests as yours,such as blockchain technology and cryptocurrency. Blockkonnect provides you a golden opportunity to monetize your own posts and comments to turn your passion into money, similar to something like AdSense in YouTube. We have a strong belief that we will remain top in this sector forever, as our concept is unique. No other social platform provides you such an easy way for monetization. Blockkonnect is the worlds first blockchain technology and social network platform connecting crypto related people and uniting them under one roof. Blockkonnect is the first ultimate solution ever which provides you with tonns of features you ever wanted on a single platform. You’ll find people with similar interests as yours,such as blockchain technology and cryptocurrency. Blockkonnect provides you a golden opportunity to monetize your own posts and comments to turn your passion into money, similar to something like AdSense in YouTube. We have a strong belief that we will remain top in this sector forever, as our concept is unique. No other social platform provides you such an easy way for monetization. Blockkonnect is a platform where you can discuss and talk about blockchain and technology related stuff. Blockkonnect provides you an awesome opportunity to discuss topics realated to Crypto Currency, Technology ,Mining and an opportunity to earn money side by side along with it. WHAT IS THE BENEFIT OF BLOCKKONNECT…? DISCUSS — Here at Blockkonnect you can create your own threads, discuss according to your own wish on your favourite topics and earn according to your rank. 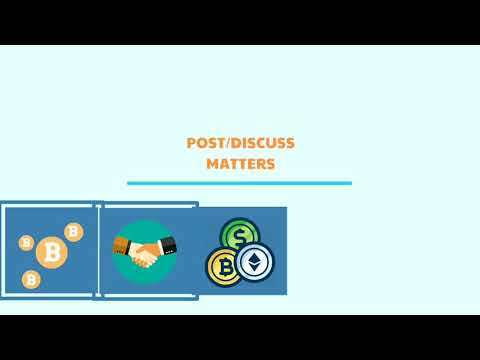 TIP — Blockkonnect is the only platform which provides an opportunity to reward tips to posters in the form of XBT tokens if you find the post is worthy or satisfied with users post or someone’s answers. UPVOTE — You can upvote answers which can motivate others for writing even better next time. PROMOTE — You can promote and advertise your projects by paying XBT tokens and all those XBT tokens wil be rewarded to the posters for their activities and activeness. IMPORTANT — You can put your important queries and questions in Request Zone.Where interested people can have a look and answer those questions,its similar to quora but here both posters and replier will earn XBT tokens. TRENDING — We keep a trending list which will show those topics and threads being more discussed about people according to our algorithm. IS BLOCKKONNECT POTENTIALLY A WORTHY PROGRAM…? First, we have to understand the importance of project and how exactly Blockkonnect works. It works like AdSense and other ad-based campaigns. Whenever a user creates a thread, posts or discusses on any topic, it increases our traffic, rank in search engines including Google and provides us with incentives. We invest those incentives in buying XBT coins. 45% of this share is provided to users based on our complex algorithm. This ensures stability of the rate of XBT coins and maintains its demand in the market, which leads a boost in its future market value as well. Website uses different sources for advertisement like AdSense, Sponsorship, Signature Campaign, etc. This concludes that Blockkonnect is a well planned and worthy program. Blockkonnect is slowly developing into a hub,for technology and blockchain related stuff and its going to be an interesting platform in future as well. You may ask Why? It’s based on research and surveys of 8 months. It’s nothing less than a revolutionary in its field which will remain highlighted for its uniqueness. Users can share their opinions and connect with each other at the same time. Follow each other, motivate through tips. Soon we can see Blockkonnect on top in search results. Soon Famous bloggers, Writers, News reporters will be on Blockkonnect further nurturing its value. Hence Blockkonnect can replace other forums quite easly.